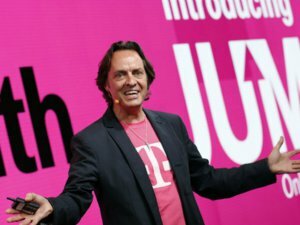 T-Mobile is rolling out yet another limited-time offer on wireless service, this time bringing the cost of unlimited data way down for families. The carrier is now charging $100 per month for two lines with unlimited 4G LTE data, down from a regular price of $140 per month. Additional lines cost $40 per month—same as before—and subscribers can have up to 10 total lines at this price. Why this matters: T-Mobile has been trying to overtake Sprint as the third-largest U.S. carrier, but is facing new price pressure from its yellow-tinged rival. An ongoing Sprint promotion lets families split 20 GB of data for $100 per month (with an additional $15 per line fee kicking in after 2015), and its unlimited plans now cost $50 per month for iPhones and $60 per month for other phones. T-Mobile’s new promotions give the carrier a slight edge for unlimited data, though it can’t quite match Sprint’s $100 tiered offering. 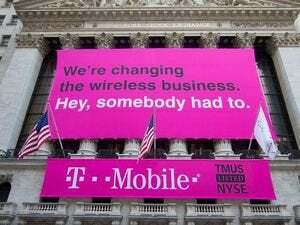 While T-Mobile claims that shared data plans from AT&T, Verizon and Sprint creating more confusion, T-Mobile’s own steady supply of promotions aren’t adding clarity. Since the start of this year, T-Mobile has introduced seven limited-time offers, including two different deals on tablet plans, a data boost for basic “Simple Starter” plans, a refer-a-friend unlimited data promotion, the $100 family plan that’s making a second appearance now, and the new unlimited data offer for families. 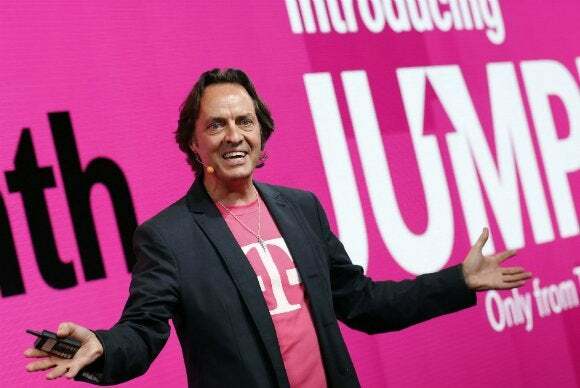 Price promotions can certainly be great for subscribers, but their limited-time nature does create confusion, and T-Mobile comes off as hypocritical when it pins the blame on other carriers. In refusing to make permanent price changes to its plans, and instead flooding the market with promotions that may be unsustainable in the long run, it’s jockeying for headlines and attention just like everyone else.